If you are looking to build a pole building in Bondurant, IA, look no further! Greiner Buildings has been providing Iowa with custom post frame buildings of all kinds for the past 25 years. We are the building expert to call in Bondurant and surrounding areas. We can take care of your project from start to finish, from the initial design to installing cabinets and the very last details. Give us a call today to get started with your free quote. The SHOME® is by Greiner Buildings is a custom home and shop combination. 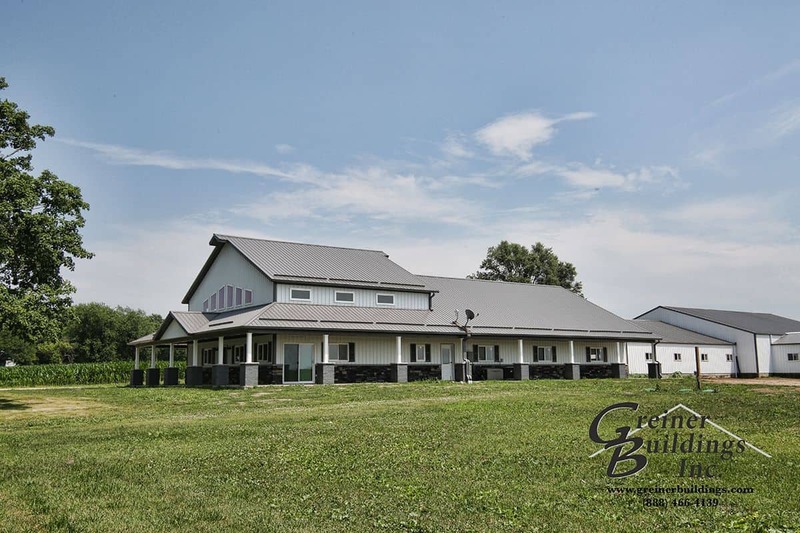 These buildings have become extremely popular in the Bondurant area, and have several variations including home and man cave combinations, large attached garages/workshops, and more. Click here to learn more about the SHOME®. Contact Greiner Buildings today to get started with your free quote on a custom post-frame building in Bondurant, IA. Check out our testimonials to see what our clients have to say about us! We look forward to working with you.